Scooters have been around since a hundred years ago, and when the Micro Mobility Systems in Switzerland and the J.D. Corporation in Taiwan unveiled the first ever collapsible scooter, it has gained much popularity in the late 1990s. Scooters are no longer just used for riding to school or zipping through the neighborhood, they are now being used for extreme sports. Originating in the Netherlands, District is a reputable company of high-quality freestyle scooter products. Their lightweight and high-performing scooters have been part of most, if not all, scooter freestylers out there. Gone were the days of the foldable toy scooters that are only meant for riding, pro scooters are the innovation that combines riding with style, creativity, and strength. Have you started to develop an interest in freestyle scooter riding? Have you been looking at those other kids at the skate park doing amazing tricks and you find yourself wanting to try them out as well? If you want to be able to do those flips and twists, then you had better have a good pro scooter to start practicing and honing your skills. A scooter you can start with is the District C050 Pro Scooter. One of the best-rated scooters in the market, the District C050 Pro scooter is what you need when you want to take a shot at being a freestyle scooter rider. An intermediate level scooter is also friendly for beginners. It uses wheels by Eagle supply, with spoked metalcore with 608ZZ bearings, and with a size of 110 x 24 mm, those wheels are safe ones to start your practice. The compression in this scooter has been upgraded into a mini HIC (Hidden Internal Compression) for a more stabilized and durable performance. The clamp that holds the C050’s bar and fork is a District double clamp, and the fork connecting the bar, deck and front wheel has a unique CNC’d machined details made of cold-forged aluminum. 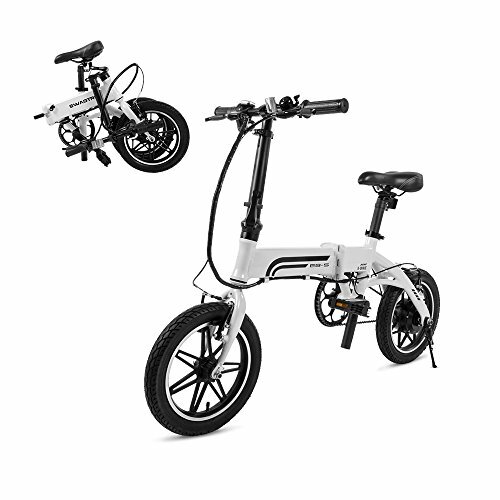 The C050 has standard sized bars measuring 22″ x 22 inches, made of aluminum like many other scooters. The Internal Hexagon Profile provides extra strength, and the grips are District 135 mm TPR grips. Weighing only 6.7 lbs., the C050 is one of the lightest complete pro scooters out on the market. It is perfect for younger children who want to try freestyle scooter riding. It will make the learning process easier, more comfortable, and more fun. 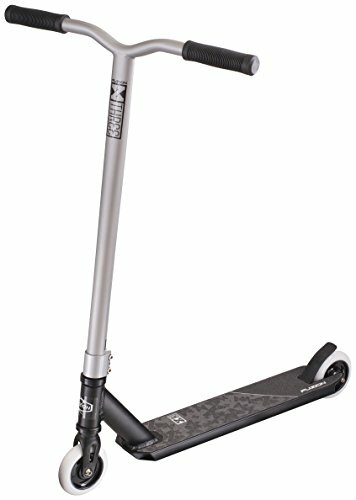 Points to consider: This is a scooter for intermediate riders, but it can also easily be perfect for beginners if they want to start practicing their scooter tricks. Younger ones can comfortably use this scooter because it is not too long and is very lightweight. If you think you can handle a complete scooter with a longer deck and higher bars, then check out the District C052 scooter. It is an upgrade from the C050 made for riding through parks and streets. The changes from its predecessor give it a quality made for intermediate riders. Has a weight of 6.7 lbs. The District C052 scooter has many similar features from its predecessor, the C050. They have the same compression. Both use the mini HIC system, which is the simplest and easiest to use. It is one of the oldest compression systems besides the threaded one. It also uses District steel flex brakes, and its wheels are 110 mm x 24 mm spoked metalcore. The major differences between the C052 and the C050 are that the former has a longer deck and higher bars. The deck measures 4.5-inches by 20.5-inches, and the bars measure 22.8-inches by 22-inches. Points to consider: Since this mode is longer and wider than the C050, it is more suitable for older and taller kids who need more foot space and a more comfortable grip on the handlebars. It can be used for tricks whether in skate parks or on the sides of the streets. The more serious rider might be interested in a complete pro scooter that best suits his skills. To accommodate your more advanced scooter tricks, you must be equipped with a scooter that will not easily break under the beating it will go through. A scooter that might be solid enough for you is the District C253 Pro Scooter. A lightweight scooter that weighs only 7.05 lbs. is designed to get those flips and twists more smooth and easy to achieve. The C253 is a solid and sturdy lightweight scooter that is the top of the C-Series line of District scooters. It utilizes the mini HIC compression system, with District double clamps, and an aluminum fork with unique CNC’d Machined details that are cold-forged. Other features are its District steel flex brake, and its deck is made of aluminum with a sealed and welded front and a square neck and the grips on the C253 measure 135 mm. 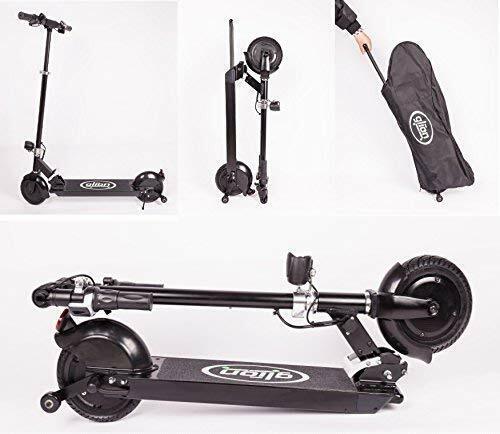 Points to consider: This is a bit pricier than the previous two but considering that this scooter can handle the pressure and tension by the use of more serious riders then it is definitely worth the price. If you have been practicing for a while now in your beginner-level scooter, and you are starting to try out more complicated tricks, then you should already be looking into some more advanced models that will be able to handle those heavier stunts. The District C152 Pro Scooter is a good choice for you. Has a weight of 7.7 lbs. This is a slightly shorter version of the C253 scooter, but both of them are designed for intermediate use. This lightweight scooter is 7.7 lbs. with a 520 mm by 114 mm deck and aluminum bars measuring 23.6″ by 22-inches. It also uses the mini HIC compression system for more stability and durability. The C152 features long district TPR grips that measure 165 mm. The spoked metal core wheels by Eagle Supply have 608ZZ bearings and measures 110 mm x 24 mm. 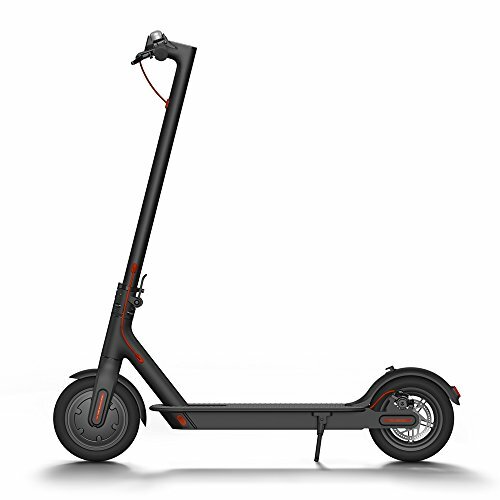 Points to consider: This scooter is in the price range of $200 scooters. 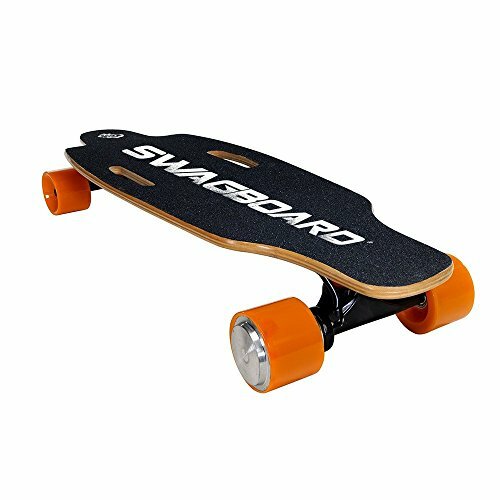 It is a bit expensive, yes, but that is the price you have to pay for a more durable and sturdier scooter that will be perfect for tricks that are for the more advanced. Dominator scooters is also a manufacturer of complete pro scooters and actually a offshoot of District geared towards a younger audience. They introduced their first full batch of Dominator scooters in 2009, and since then, they started making complete pro scooters designed for beginners and intermediate-level riders. One of their high-rated scooters is the Dominator Airborne Pro Scooter. This scooter is marketed for beginners who want to test out their skills in freestyle scooter riding and for intermediate-level riders who want to try out more advanced tricks. Therefore, whether you are new to the extreme sport of scooter freestyling or you want to become better at it, then the Dominator Airborne Pro Scooter might be the one for you. 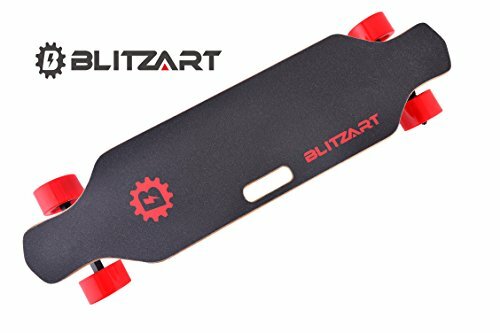 The deck used in this scooter is military-grade 6061 T6 aluminum, this will ensure sturdiness and will be able to withstand pressure when used for jumping tricks. The handlebars use soft rubber grips by District for a more comfortable grip. The Dominator Airborne Pro Scooter has a triple clamp with M6 steel bolts that are made of grade-8 steel, and a HIC compression system for the connection between your bars and fork that will be stable enough not to break and crumble that may even cause further damage to your scooter and injury to yourself. 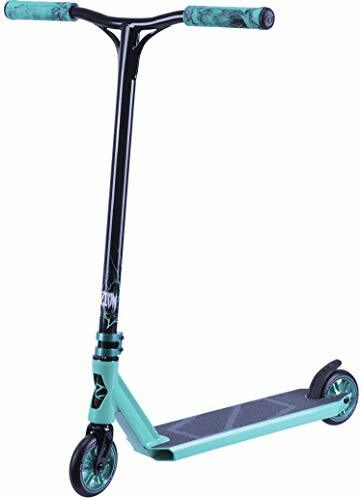 Points to consider: This scooter is priced at less than $130, so this is very reasonably priced for its beginner/intermediate design. Why Buy a Complete Scooter? Now that scooter freestyle riding has become quite a big thing, more and more people want to not miss out on the fun. That is why there are more manufacturers of scooters now than before, and those numbers will keep increasing. As this extreme sport continues to become more popular, it makes the decision-making process of buying a scooter a tedious job, especially for those beginners who have no idea which one would suit them best. As a customer, you can choose to buy a complete scooter or build your own by buying separate parts and assembling them yourself. If you are already familiar with the word of scooters then you can choose to buy all the parts and assemble them yourself, since you probably already know what you are doing. Building your own scooters with the pieces of your choosing that has the best quality will give you the freedom of customizing your very own scooter. If you are new to this scootering word you might want to start out by buying a complete scooter instead of assembling your own, that will make your journey of purchasing a lot easier. As I said, there are some scooters and scooter parts manufacturers out there, if you do not know what to get then you might just get confused. Buying a complete scooter might even be more cost-efficient because you are sure that the companies build dialed scooters that are solid and sturdy and has a great performance. There is no worry that you might accidentally buy a part that may not be compatible with the other parts or may not be able to handle the tension and pressure it may be subjected to whenever you use it, therefore avoid having to buy another part that fits and saving money. In addition, if you do not want to be hassled with the time and effort you have to put in assembling your scooter then it will be easier to just buy a complete one. Proper care of your scooters also ensures that you are not throwing your money away with improper use and lack of maintenance. Your scooters will last a long time if you see to it that your scooters are always in its best shape. You will be spending less money if you do not have to keep buying replacements for your scooter every time it gets broken or damaged. Plenty of options for pro scooters are out there in the market, and they will continue to increase in number. When you are looking to buy a scooter, it is best to consider what level you are in freestyle scooter riding to be able to pick the one that is best suited for you. The District C050 and C052 and the Dominator Airborne Pro Scooter is a good fit for beginners or intermediate level riders while more advanced riders can use the District C253 and C152. These scooters are a worth the price and will give you a durable and reliable scooter to meet your needs. Whether you are a beginner who is testing out the sport, an intermediate-level rider who wants to upgrade your skis and your scooter or the serious and more advanced rider, there is a scooter that will be an excellent choice for you.